The North End nursing home and rehabilitation center in Boston’s North End will be leased to a new operator, keeping it open for existing residents and future patients. Marquis Health Services, a subsidiary of Tryko Partners, will acquire the facility, according to a January 6th news release from exiting owner Partners Healthcare, that operated it under Spaulding Rehabilitation Services. 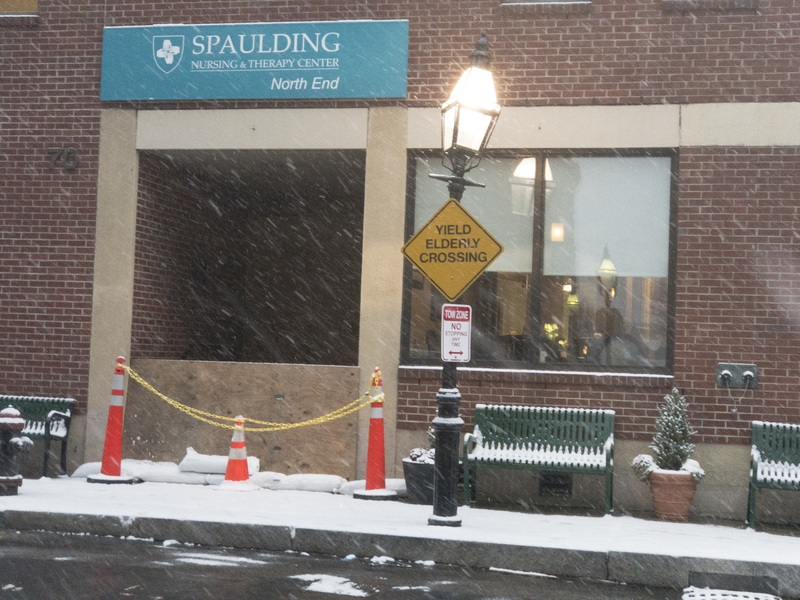 The North End nursing facility opened in 1983 and has been run by Spaulding since 2001. Neighborhood leaders have been fighting to keep the facility open since last June when Partners/Spaulding announced their intentions to move patients to Brighton and close the facility. In several meetings and hearings, the community has passionately voiced the devastating impact on the neighborhood and its elderly should the nursing home not remain open. We are overjoyed that the Nursing Home will remain in the neighborhood as a resource for our seniors and vulnerable residents. Thank you to Mayor Walsh and our elected officials for their commitment, our fellow neighbors for standing firm and the people at Spaulding for hearing our concerns and acting in good faith. We welcome Marquis Health to the neighborhood and offer our full support as they take over the facility. We are extremely pleased that we have found an organization that is willing to maintain a facility in the North End community and provide continuity of care for the existing long term patients. Marquis will make renovations to the facility, totaling approximately $4 million, that will be staged so that there will be no disruption to existing long term residents of the facility. In its statement, Marquis said they expect to assume full responsibility for operations, pending regulatory approvals, in late 2017. Marquis operates more than 2,000 skilled nursing beds nationally, including nine facilities in Massachusetts. Existing patients and staff will be given a choice to stay at the North End facility or move to a renovated Partners nursing home in Brighton. Marquis has an impressive track record of making investments in their facilities and scores well on publicly reported quality measures. Marquis is also committed to understanding the needs of their local communities and helping to make a positive impact. Vital to keeping the facility dedicated to nursing care was a restriction on the property from a former urban renewal plan that only allows it to be used for such nursing health purposes. This restriction was confirmed by the Boston Redevelopment Authority at the city hearing and ruled out the possibility that other uses, such as condos, would be approved at the location. It also opened the door for another nursing home operator to purchase the property and take over operations. Our approach to nursing home operations center on two goals: providing excellent care and providing excellent customer service. We anticipate that our approach – focused on hands-on, quality care – will be well received by our residents and their families. We look forward to working collaboratively with the community and the City of Boston. Opened in 1983 in response to increasing community need for the elderly, the facility was originally owned and operated by the North End Community Health Center (now North End Waterfront Health). The center’s mission was to provide lifecycle care for residents. The nursing home’s location in the neighborhood was selected so that longtime residents could stay in the North End while their families could frequently visit. In 2000, Partners Healthcare came into the facility and took over full operations in 2001. At the same time, Spaulding Rehabilitation Hospital introduced therapy services, diversifying the operations beyond being a nursing home. There are approximately 110 beds in the facility with about 60 dedicated to full-time residential nursing care. View all our coverage on the North End Nursing Home. Make a 1-Time ContributionBecome a NorthEndWaterfront.com Patron We are also looking for writers interested in taking on assignments to cover community issues or helping with light editing and curation. If you are interested, please contact us. Great news! Thanks to the entire steering committee! Job well done! Yay! will stay in the North End!!! ! Wonderful resolution!! Great work by the North End community and elected officials involved. What wonderful news for the North End for a change. So happy to hear this. Excellent work by all! Ah, we can breathe again. A dark cloud has been lifted ! Great news to start the new year! Many thanks to those who worked long and hard to make sure the community did not lose this valuable resource. Thank you also my mom and dad were patients there. I’m so happy to hear this. Great, great news for the North End! Resounding thanks and congratulations to all the great people on the committee for the Herculean effort put forth to keep this vital facility in the neighborhood. Great job! It just goes to show that when neighbors work together, they can accomplish great things for the neighborhood. Congratulations North End residents! Keep up the good work. Yes! I wish to thank and congratulate all the people who worked so very hard to make this happen. I personally appreciate it because my father was a patient years ago and he thrived in his rehab period because he could still be part of a Neighborhood that he loved very much. I was able to take him for wheel chair walks while he was rehabing and at age 90 it was a vital part of his recovery. This facility is absolutely unique because of where it is located and the character of the neighborhood prevents the patients and their family from feeling isolated from the real world that we live in. Good luck with the new owners, they run their nursing homes terribly. This is wonderful news, especially after a year of so many disappointments. I too want to express my thanks to all who worked to make this happen. Wow.